This past September, the NCCR Digital Fabrication welcomed Jim Drury from Reuters TV. In this 2 minute video on the autonomous construction robot, the “In situ Fabricator” (IF). Drury captures relevant questions regarding this “game-changer in construction”. Digital fabrication enables the seamless combination of digital design with physical construction processes. 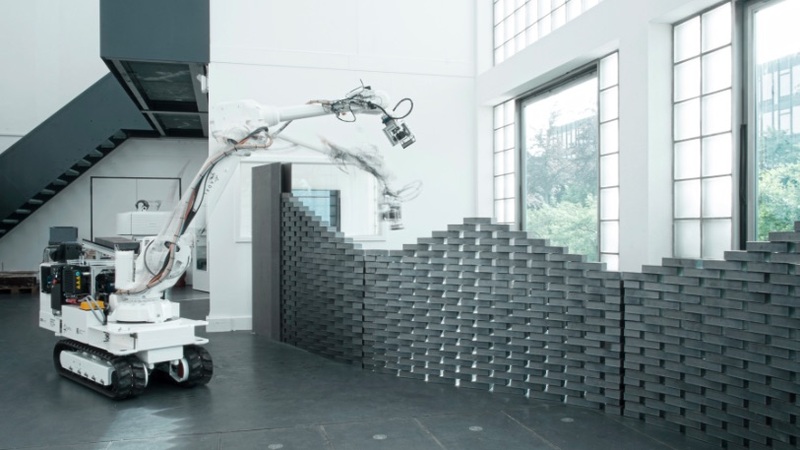 To fully exploit this emerging technology within architecture, robotic fabrication must be expanded in prefabrication, but also fully implemented directly on construction sites. Achieving in-situ fabrication using mobile construction robotics is the goal of several research projects within the National Centre for Competence in Research (NCCR) Digital Fabrication. 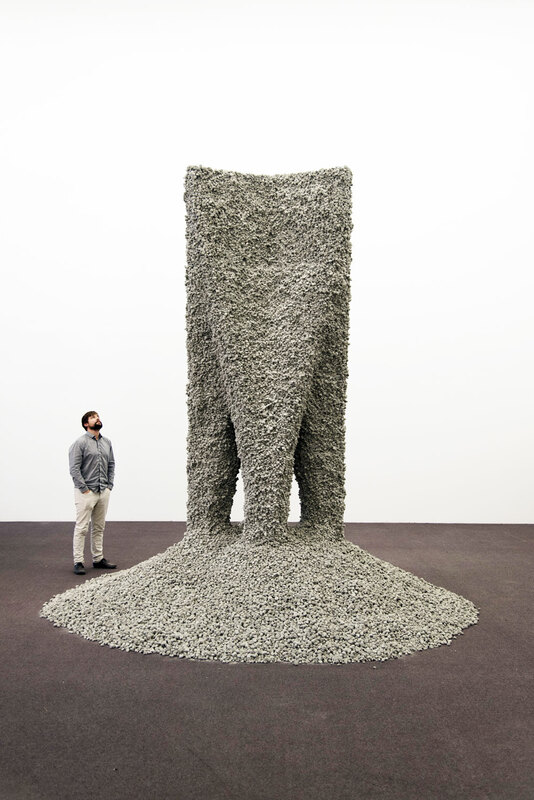 Inspired to take 3D printing technology to new heights, ETH Zurich and MIT researchers create “Rock Print” — a full-scale architectural installation on display at the Chicago Architecture Biennial until January 3, 2016. 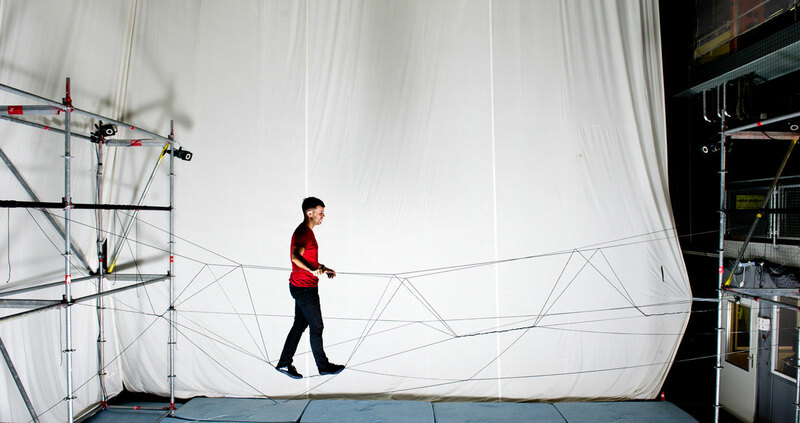 Using quadrocopters and some rope, researchers have woven together a bridge strong enough to walk across. Made at the ETH Zurich Flying Machine Arena in Switzerland, the bridge joins two scaffolds, and is the first full-scale load-bearing structure autonomously built by flying machines. Today, building envelopes tend to be static and unable to adapt to changing conditions. Now, for the first time, an adaptable façade has been used for the newly inaugurated House of Natural Resources (HoNR) that produces electricity and regulates light and heat generation. While robots are being deployed in factories at a high pace, their presence on construction sites is close to nil. However, there are many architectural robotics research projects in academia, and during this decade they will surely start to appear in real-life construction. What will these robots look like? 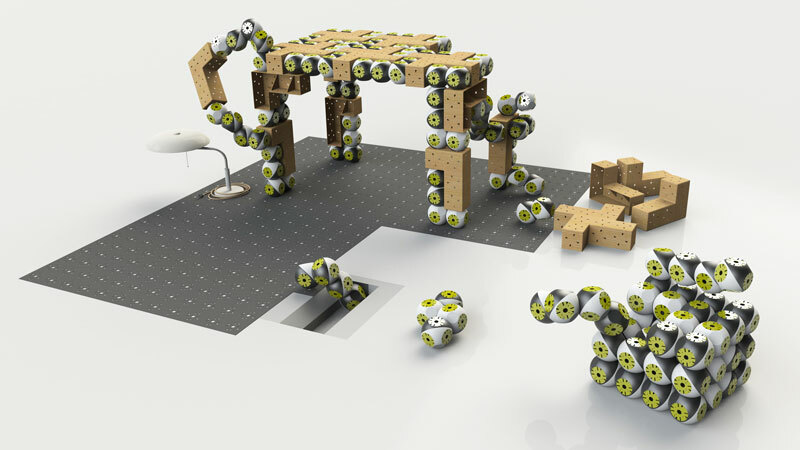 In the future, Roombots could replace furniture (Biorobotics Laboratory, EPFL). The word “robot” conjures up many different things to many people, but how many of them immediately think of furniture? It sounds futuristic but the Biorobotics laboratory at EPFL, sponsored by NCCR Robotics is working on exactly that – robotic furniture, or Roombots.